Our team consists of dedicated and committed individuals who are completely devoted for the realization of their dream of sending every child to school. All our team members are highly educated and working professionals who are applying their learned knowledge for this great noble cause. She is a professor of Geography in Govt. College, Sector 14, Gurgaon and CoFounder of Prayatna School of Excellence. She has been the pioneer in various teaching initiatives of Prayatna. She has been leading the various initiatives of women empowerment and assisting growing age children to get enrolled in some vocational and skill development programmes once they complete their learning curve in Prayatna. Ramkrishna (Ram) Mudholkar has been involved with Prayatna School of Excellence for more than 6 years. He is acting as chief mentor for students enrolled in “School of Excellence” Child Development Centre of Gurgaon and serving as a senior member of Prayatna Governing Body in all management and administrative activities of Prayatna. 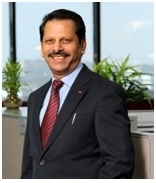 By profession he was President, DuPont South Asia from January 2016 to December 2017 and Regional Business Director, DuPont Crop Protection, company’s largest business unit in India, from 2005 to 2017. He was also Chairman of the Board, E.I. DuPont India Private Limited, a wholly owned subsidiary of DuPont. Ahmedabaad, Ram has passion for advancing agriculture and farmers wellbeing in developing countries. He also has keen interests in the social sector, espcially in the areas of girl child education and empowerment, rural women skill development and empowerment, Gender Equality and Inclusiveness in corporate India and Young Womens Leadership Development programmes. He is actively engaged with and support activities of NGOs like Pardada Pardadi Education Society , Sehgal Foundation, Navjyoti Foundation, Sarthak Prayas. Praneet Sushil Founder of Prayatna School of Excellence society which has been working at urban rural areas of Gurgaon district and other places of Delhi-NCR region. Has been the Chief Trainer, Counsellor and Mentor of Prayatna. He does possess excellent social networking, interpersonal and leadership skills. He is the pioneer of various child awareness campaigns & development projects that have been carried out in Delhi-NCR region since Prayatna inception. 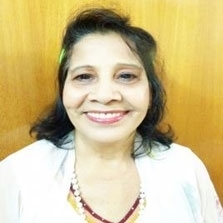 A Sr. Citizen and reknown social activist of Gurgaon have been involved with various educational and social activities of Prayatna and pioneer of various volunteering programs of Prayatna. Software engineer in Gurgaon. Has excellent social networking, interpersonal and leadership Skills. Was part of the team teaching children in slums living across the college. Has a lot of enthusiasm towards social service and activities. He is a highly motivational speaker. Has managed to get attention of many senior personnel and is currently working to get sponsorships of corporate and societies. Software Engineer, Banglore. Has been associated in SCP-2008 program in Gurgaon and worked as coordinator for educational activities in public schools of Gurgaon. He is responsible for new Prayatna center in Molahera along with Kanan. 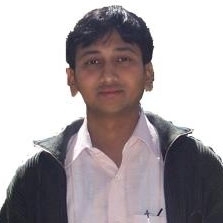 Electrical Engineer and MBA from IBS, Gurgaon has been associated with Prayatna since its inception. 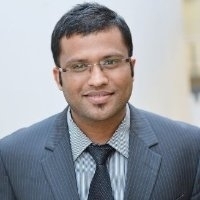 He is mainly responsible for promoting and marketing activities of Prayatna. He is designated as treasurer of organization and done an excellent job of getting involved with management students for Prayatna activities. Many students have joined as part time volunteers by insipiranal words of his management skills. Arvind Saxena has been associated with Prayatna Since 2012 and he is working as Senior Teacher & Chief accountant of Prayatna. He is very energetic, dynamic and very focused on Career Planning & Mentoring Programs for students. He is involved in overall management of "School of Excellence" Molahera & leading the team of volunteers for various activities held in all centres of Prayatna. 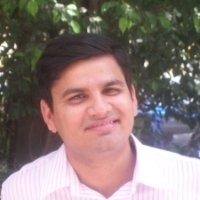 Arvind has been teaching in Prayatna since 10th standard and after that teaching and learning became part of his life. His story is inspiration for many students. He is graduated from Delhi University and at the moment he is pursuing MBA from Welingkar Institute of Management in Mumbai. Anant Abhay Shankar Pandey is English teachers in Prayatna SOE. Graduated from Delhi University. At the moment he is also pursuing B.ed from Maharishi Dayanand University. In his own words – “ I don’t like anything else except teaching. This is the only profession I can imagine myself since childhood. Being part of Prayatna is experience of lifetime for me. Here I got chance to use my caliber to its fullest. Teaching English to students who don’t have exposure of this language is real challenge and taking big challenges is what define my personality."